"Can I have some chewing gum?" I asked. "Perdon?" she answered. "Chewing gum" I repeated. She looked at me confused. I was giving up but she was still looking at me, as if she was trying to make the effort to understand me. 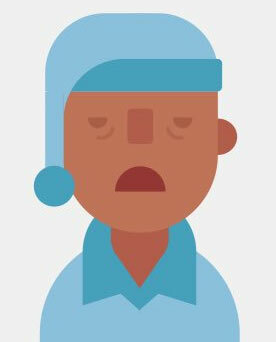 It was past 10:30 at night in Los Angeles and the unfortunate graveyard-shift workers were starting to appear at bus stops. I was on my way to my night-shift job as a security guard and the bus was late. I was new in the country and I was still thinking in French and translating the words to English in real time. I must have been saying "Chewing gum " in an accent too heavy for the girl sitting next to me to understand. I made one last attempt pointing at my mouth, chewing invisible gum. "Chewing gum" I said again slowly. "Oh, Comer?" she said with a smile and pointing at her mouth. "Yes" I answered satisfied, "comer". She rummaged through her purse and instead of giving me some gum, she handed me five dollars and pointed at the Pollos Camperos across the street. Andrea was a generous stranger who understood not one word of English and I was a misunderstood foreigner who spoke little English and no Spanish. She became my very first friend in this land of opportunity. I have completed 383 consecutive days of Duolingo. Duolingo is an app that claims to have a scientific approach to learning a new language. If you are persistent, follow the instructions and complete the minimum daily activity, you will speak the language, Guarantee! Over the years, I have failed to learn Spanish. I've worked at places where everyone spoke Spanish, yet I didn't learn more than a few words. A year ago I was talking with Walter, my Spanish speaking friend, and he introduced me to Duolingo. I don't trust any claim made by an app developer, but Walter was convinced. He showed me the lessons he had completed in French, Italian and German and I was intrigued. That evening I went home, downloaded the app and spent 2 hours devouring it. It's pointless to learn a language you are never going to use. In Los Angeles however, I have plenty of opportunities to speak Spanish. Anything I learn from the Certified Duolingo Spanish class, I can immediately turn around and practice with my friends. I wasted no time and completed the entire course in a record (see obsessive) pace. Walter suffered me the most. I would try to have full conversation with him in Spanish and I could see his friendly eyes trying so hard to be polite and struggle not to break my spirit. For 70 days in a row, I did my lessons. I was positive that I was improving everyday. That's until I asked him where he parked his car. "OK. Stop it. Just stop it." Walter snapped. "Coche? do you see a carriage in this parking lot? This isn't Cinderella." My spirit broke. He finally decided to tell me the truth. Yes, Coche is car in Spain, but not in the Americas. Every other word I used was awkward and cringe worthy. I had no control over my la and el, over my un and una, I could not count from one to ten. My tenses were all wrong. Genders were always wrong. My spirit broke. Then I decided to explore the App a little deeper to understand what was happening. I speak French. I went to French school. Although I have lived long enough in California that I have switched my thought process from French to English, it is still a language that is embedded in me. To my surprise, learning French with Duolingo was difficult. The answers are always ambiguous. They are cringe worthy. Others are plain wrong. I tried my best to complete the course and often checked the comments to see people complaining that the answers were wrong. Walter is a fast learner and he had done his best to learn what the app was teaching, but the material he was learning from was the problem. French, English, and Spanish share the same Latin root and often you can understand the meaning of a sentence just by looking at the familiar words. But this is also a confusion when translation is not one to one. The student ends up learning things wrong all the while the app rewards the effort with virtual points, persisting the lie. You can experience this awkwardness when you translate a foreign language to your native language on Google Translate. The words are correct, the grammar is correct, but the meaning is off. There was a big launch event with an app update to announce the support for Japanese. I was excited to learn this exotic language. Compared to Spanish, it was utterly difficult to learn. I repeated the Hiragana lessons hundreds of times. I would practice everyday, slowly progressing until I get stuck and go back to Hiragana to refresh my memory. It took many months and lots of efforts to complete the Japanese course. 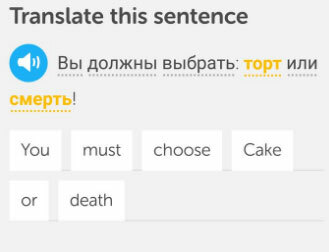 Learning new things in a foreign language is difficult, but Duolingo has mastered the art of making it fun all the way. I tried to look past the fun and double check my progress to see if I was learning anything useful. Unlike Latin based languages, I can't easily find someone to converse with in Japanese. So I went to YouTube to watch basic lessons and compare notes. I had been practicing for months and I had not even known there was such a thing as Kanji. Now things made a little more sense. The app had been interchanging Hiragana and Kanji without any warning or explanation. I was blindly following. Watching those videos on YouTube, I realized that I could recognize numbers here and there, but I could not count from one to ten. I could recognize the number 12, but I had no idea how it was pronounced. I could put a lot of sounds together, but show me random Katakana or Kanjis and I am lost. I was recently in a crowded cafe trying to find an empty table to get some work done. I jumped on the first seat that cleared and was occupied by a Japanese man. "Are you... Comfi Taburu?" the man said. I did not understand. He repeated again. I thought he was asking about a "coffee table". Turns out he was jokingly asking me if I was comfortable. He replied "Nice to meet you" in a way I had not heard before. I shook hand with Mr Tereso. He spoke so little English and I spoke at most kindergarten level Japanese, yet we spent two hours discussing various subjects. We spoke about money, where I learned he was a retired investor and gave me investment tips. We spoke about family, where he told me that a girlfriend is the biggest and best investment I can make. We spoke about religion, where he told me that it cost nothing to ask God for what you want. I had learned just enough Japanese to make a friend. You will not learn to speak a new language with this app. Let that sink in. However, you will have fun playing the game. 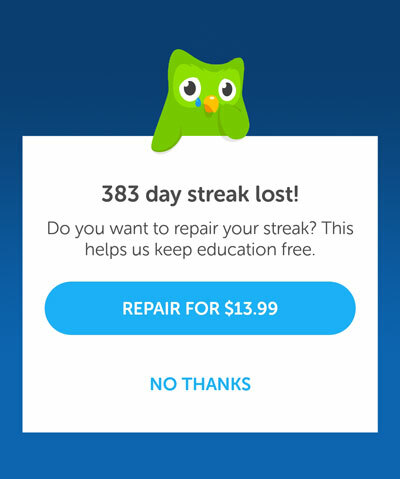 Duolingo is a game first before being a learning tool. It will be a motivator to explore more about the language you are trying to learn. I have slightly improved my Spanish with the app, but what it helped me most with is to have the confidence to speak in Spanish to strangers. I listen to audiobooks, radio shows, even ads in Spanish just to improve it some more. The app was only the catalyst. Language is more than just a syntax to learn. It is a culture and a perspective. Use the app to get yourself introduced to a new way of thinking, but by all means don't stop there. Meet people speaking those languages you are trying to learn and watch yourself learn new things you would never have learned otherwise. Next: I'm bored, what do I do? There are different strategies to learn something new. With a book, some people perform best with the step by step pattern going from chapter 1 to 12, others jump straight to the section they need, and some others ditch the book entirely and jump in to the problem only to find that they actually need a book or some way to acquire knowledge. I fit best in the third group. When it comes to learning I am always in a hurry. A few years ago when I was still in school, I was frustrated with the pace at which we were going in class. I did slow down eventually eventually but this had lead me to learn things in a very disorganized way. I'm learning german from scratch with duolingo and it is working! In almost all countries in the Americas "coche" means car, except for Guatemala in which it means "pig". What Walter was referring to is a "carroza". He's just plain wrong. This was so heartbreaking to read. you are right, duolingo is a great app to learn a foreign language but I experience the same as long ago at school when in four years I learned to read and write in English, French and German. Grammarically all correct but when it came to speaking to a native person? Nope. English and German speaking I acquired frequent foreign contacts I had professionally. I lost French mostly, I grasp the meaning of what is said or written. The same I experience now with Duolingo Spanish and Italian. I have come quite far in listening and reading but you really need people to talk to, so far still a problem for me. @Wim, you are right. At the end of the day, the best way to learn is to have a conversation with native speakers. Humans are the nicest way to learn a language. Who cares if you say "coche" instead of "carro"? If you say "coche" instead of "carro" in countries where "coche" doesn't mean "car", they'll find it weird but they'll understand through context. If you say "carro" instead of "coche" in Spain, same thing. Funny thing is, in Spain "carro" means "cart." I am Spanish and when I talk to people from South America, sure, we don't share the same vocabulary and some words seem confusing at first, but eventually we understand each other. What I mean is that it's OK if every other word you use is awkward and cringe-worthy, if you swap "la" for "el" and "un" for "una," if your tenses or genders are not 100% perfect all of the time. 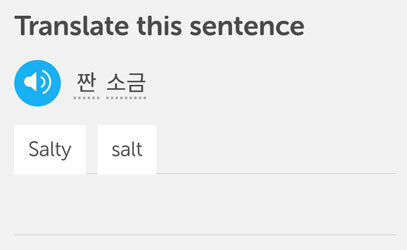 I'm sorry your friend Walter didn't have patience with you, and honestly I'm also angry that he discouraged you from using Duolingo. I used to be a language teacher and never in a million years would I have snapped at somebody and told them to "stop it" because I didn't like the words they were using. Your friend totally knew that you meant "car" and he should have just shut up. You have to cut some slack to someone who is making an effort to learn a new language. Hi Misty, thanks for the encouraging message. You are right it is ok to make mistakes when learning a language, it ends up being the only effective way. 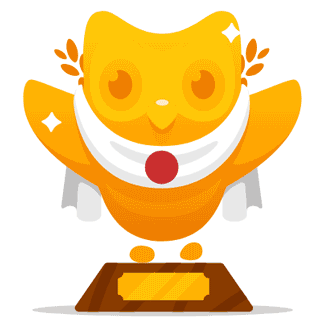 I'm 150 days in on Duolingo Italian and I can barely count to ten, but I can zip through lessons like a (Duolingo) pro, let alone keep up a conversation. As I don't have access to speak directly with others, I'm trying to supplement my learning with other resources. 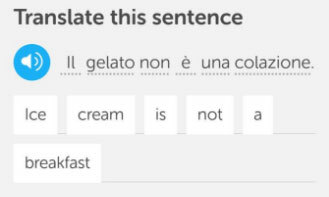 Coffee Break Italian is a good podcast that explains a lot of what Duolingo doesn't. Slow News in Italian and Italian movies will hopefully help my listening comprehension. I'm sticking with Duolingo because I am learning something and the gameification helps keep me consistent. But alone, I don't believe it can teach a language. I should also add that the Duolingo forum chats that accompany each question are very helpful.